I will be at Gleason Park in Indian Harbor Beach, Florida this Saturday from 9 AM to 5 PM November 21, 2015. We are on the east side of the Eau Gallie Causeway. While you are in the area you can visit the Eau Gallie Art Fair in the Arts District on the other side of the causeway as well. Many of my art friends will have booths there. I am excited to show some of my new items and I am looking forward to meeting you in person. 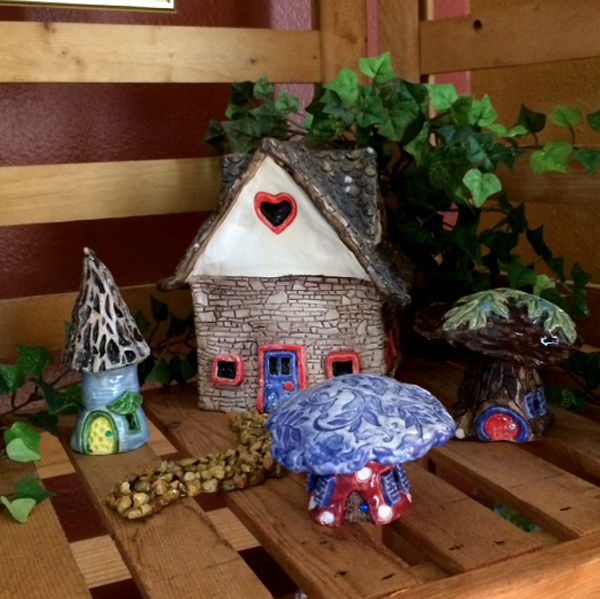 Some of my new items include Fairy Garden Kits, Completed Fairy Gardens, Fairy Doors, Miniature Fairy Houses and tiny Fairy Trees, Mushroom Houses, Fairy Garden Signs and my new Garden Signs. Each sign is hand-made, some are stamped with stamps that I designed. Others are hand-stamped, letter by letter, with lots of fun dimensional additions like hearts, flowers, and even tomatoes. No two are alike! They have stainless steel hanging wires, great for those salty, humid Florida gardens! I also have some live, completed fairy gardens. My larger gardens have fairy houses, paths, miniature fairy mailboxes or tiny ponds, and live miniature scale plants. 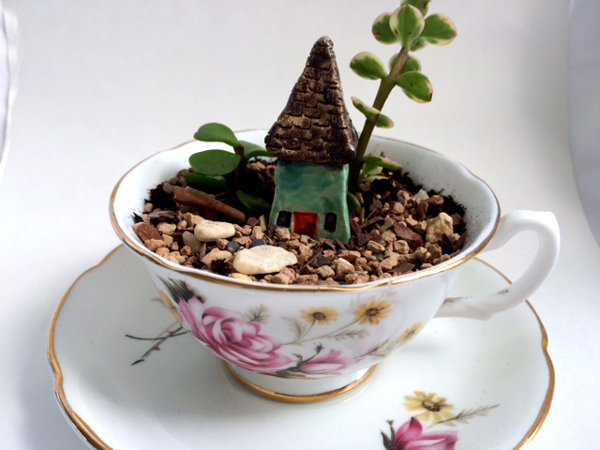 My miniature gardens have tiny plants and miniature fairy houses. I even have some in tea cups. If you can’t stop by the show, please visit my etsy shop here. I will be posting more show dates in the Upcoming Events link above. 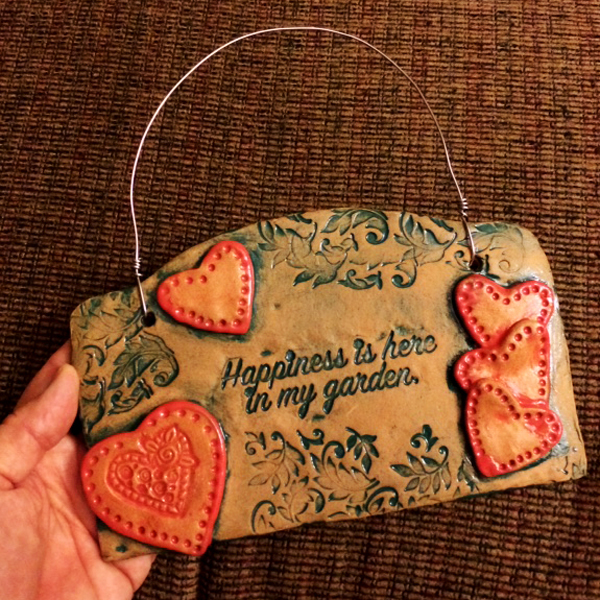 Hope to see you soon – Happy Gardening!